LETHBRIDGE, Alta. — It wasn't all that long ago that a Canada vs. U.S. men's curling battle lacked drama as Canada had dominated the Americans on the pebbled ice for years. 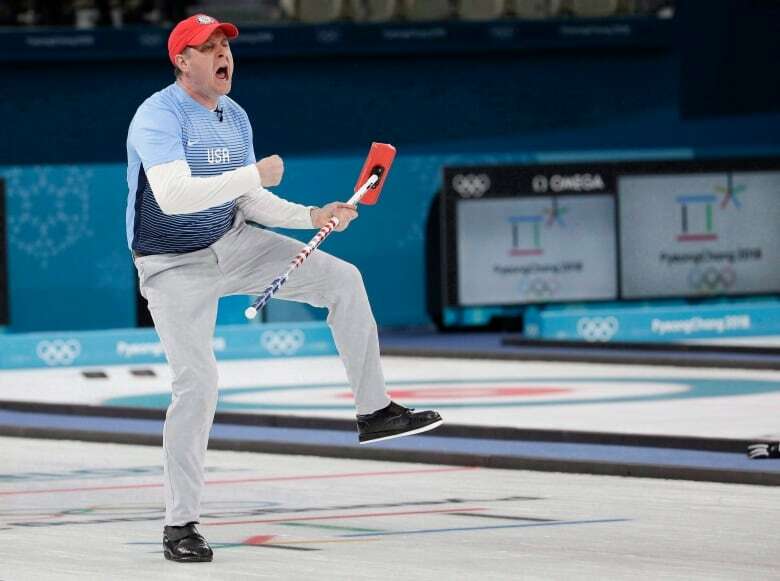 John Shuster and his Olympic team rocked Canada's curling world last February in Pyeongchang by beating Kevin Koe not just once, but twice on their journey to a gold medal. It was the first time an American men's team had defeated a Canadian men's team at the Olympics. The two haven't met in an international curling event since, but are about to renew their rivalry when they take to the ice in Lethbridge on Thursday morning (11 a.m. ET) at these world championships with playoff positioning on the line. Koe and the Canadians are 6-2, tied for fourth with U.S.
"At the world championship when you're playing in Canada you just have to expect everybody in the stands are going to be cheering for their home team," Shuster said. "It's an intercontinental rivalry that isn't going away anytime soon." That's Shuster's polite way of saying the Americans aren't fan favourites when they play in Canada. He points back to some other international events played on Canadian soil where the fans weren't all that friendly to the curlers from the south. "We got cheered against all Vancouver Olympics," he said. "It was very, very vocal against the U.S. And we got cheered against in the bronze-medal game two years ago in Edmonton against Switzerland." Shuster and his team are under no illusions about what they're up against in Canada this week, and understand how personal it is to the fans of Canadian curlers. That intensity is heightened after recent Canadian defeats on the international stage. "The fans are great. I love that they support the players," Shuster said. "It's just the world championships. It's a different beast. It's their county. We're the neighbours to the south, so it doesn't surprise me there's that rivalry." 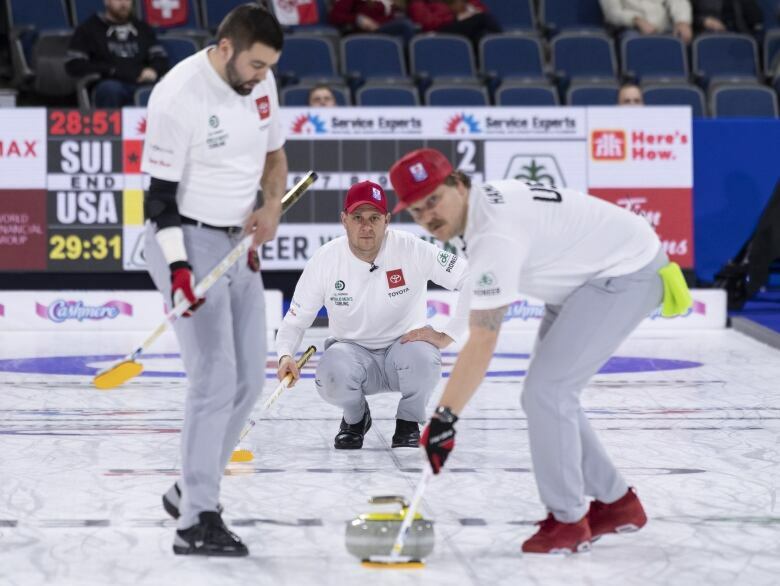 Early in the competition in a game against Scotland, Shuster and team second Matt Hamilton poked a little fun at the Canadian fans. After a rather routine nose-hit takeout in the seventh end against Scotland (which Shuster and Hamilton thought deserved praise), the two had a quick exchange following the shot that was picked up by the microphones they were wearing. "Like six claps and make a great shot," Hamilton said to Shuster. "I know. It's sad," agreed Hamilton. "They cheer good shots here in Canada, I heard," Shuster said. Since then, Canadian fans have been sounding off on social media about the exchange. Shuster wants to clear the air. "I was just reminding him, 'Dude, we're playing in Canada.' It wasn't meant to offend anyone so I'm sorry if I did." The American skip says he respects the game, the fans and meant nothing more than to remind his players of where they're playing. "I want people to like me. I try to be a good person and a fair curler on the ice," he said. As for Hamilton, he says Canadian fans take it to a different level when it comes to home team support. "I've felt at times there's some inappropriate timing for cheers on our shots. It's fun and it's motivating but sometimes it's in poor taste," he said. "I think there might be some salt left from the Olympics. For the most part the fans are good. We're happy to play in front of them and put on the show." Hamilton remembers his first world curling championship years ago in Halifax. That was his introduction to Canadian fans. "We played Canada and I got heckled pretty hard. It was my first game at worlds ever. I thought: 'Is this what the rest of the week is going to be like?'"